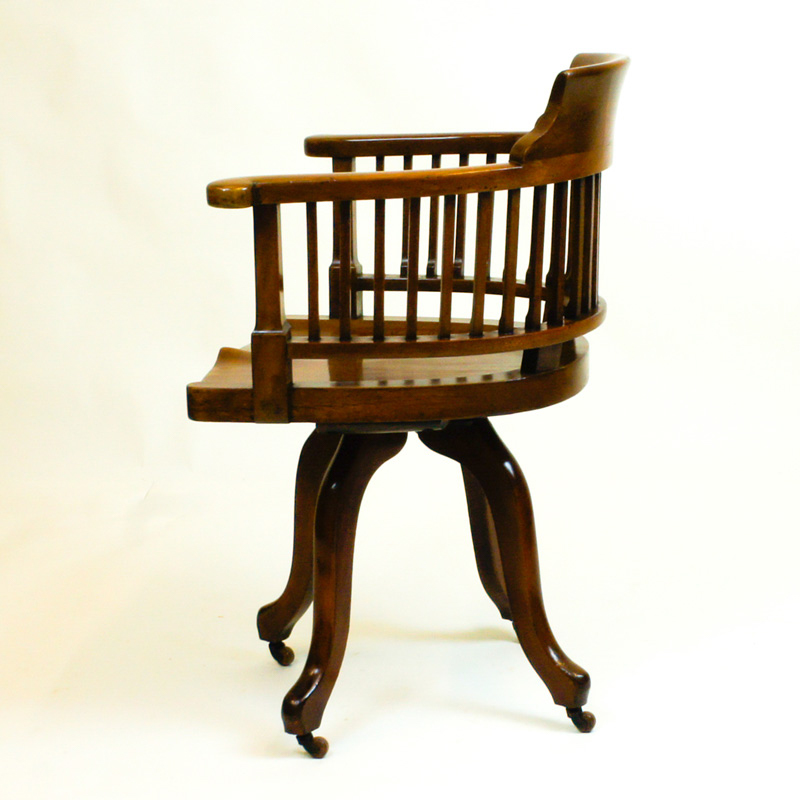 This is a very good quality antique, swivel seat, desk chair with a horse-shoe shaped basket slat back. 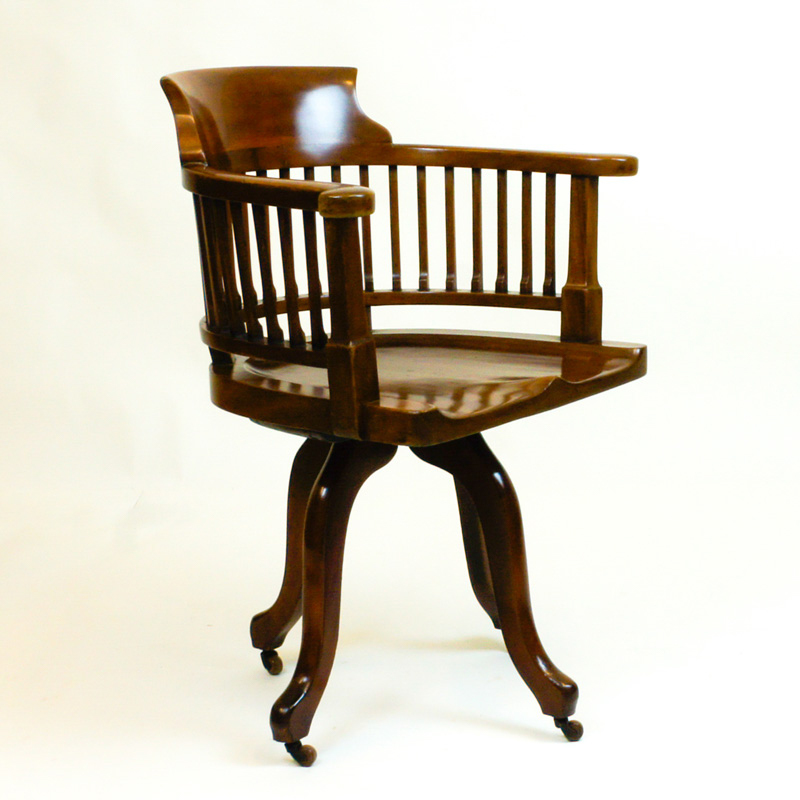 This substantial well-made antique chair is in very good condition having recently been cleaned and wax polished. 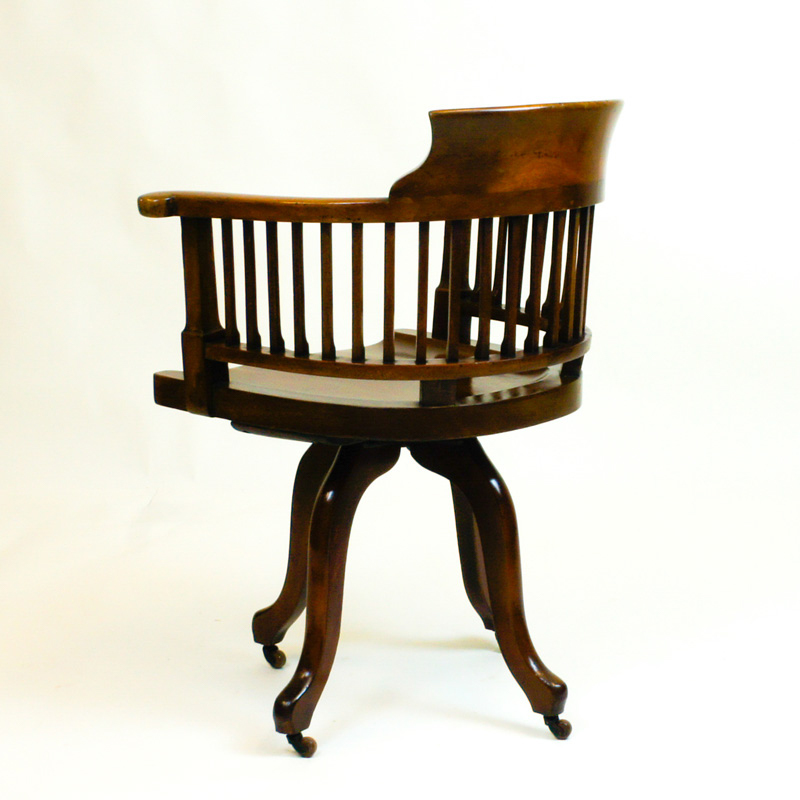 A very good quality antique, swivel seat, desk chair with a horse-shoe shaped basket slat back. 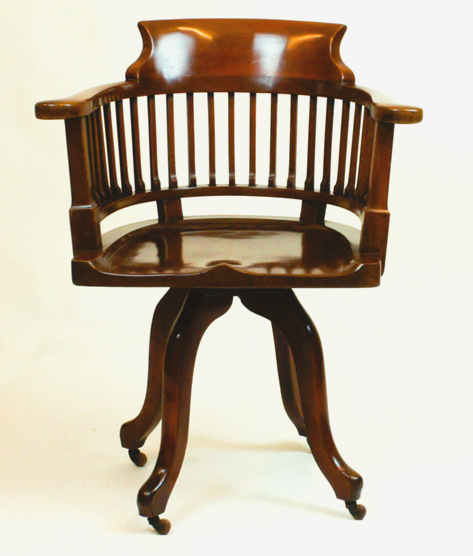 This substantial well made antique chair is in very good condition having recently been cleaned and wax polished. 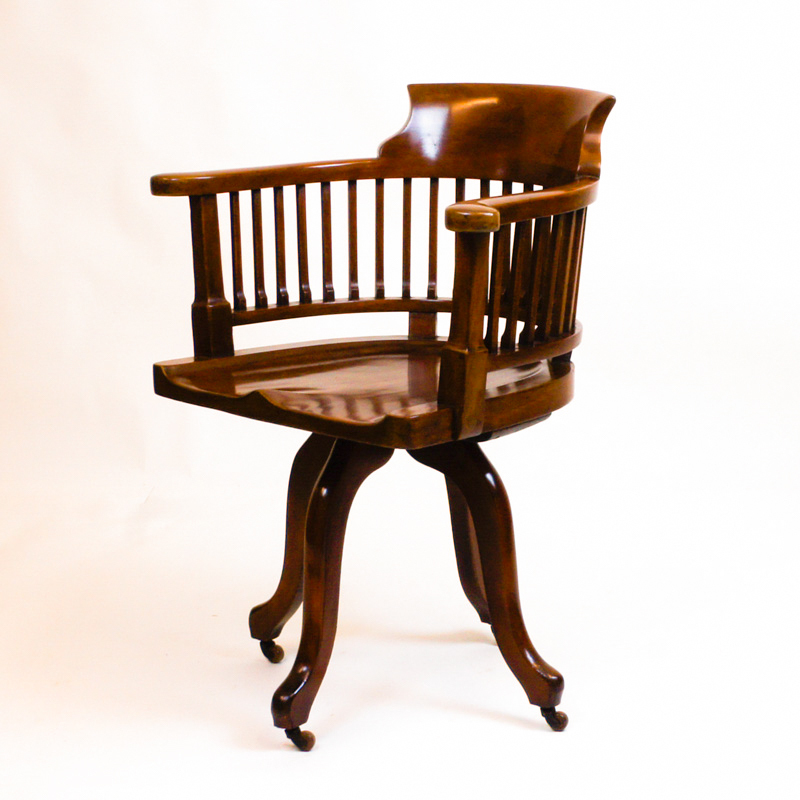 The chair has a solid mahogany saddle seat and stands on four cabriole legs with the original brass and ceramic castors. It is very comfortable to sit in and the swivel mechanism works well. 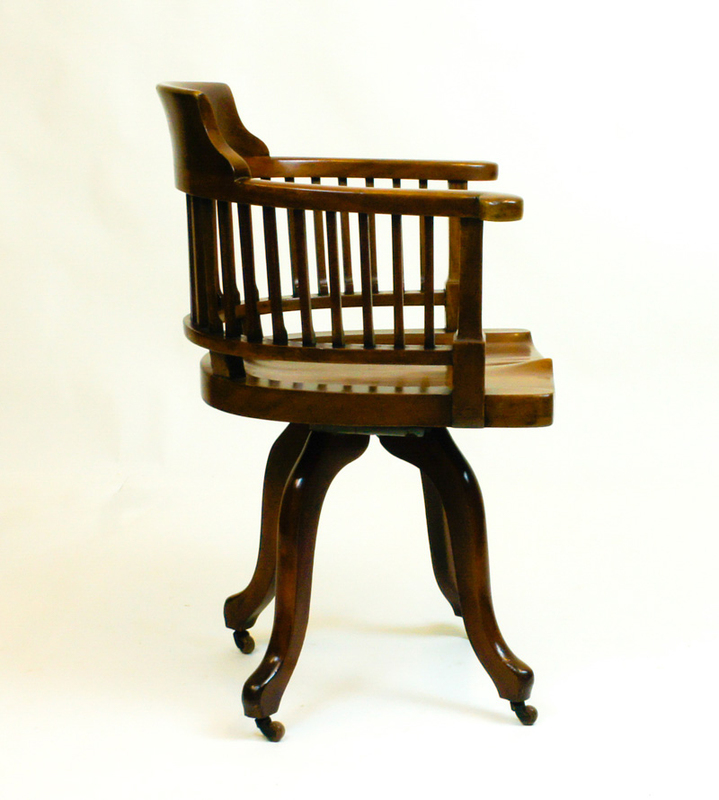 This is a very handsome desk chair has an attractive bright mahogany patina and would sit well with an antique desk.